I have worked as Heritage Tourism Officer within the Heritage and Conservation team at Nottinghamshire County Council since October 2013. Previously, I worked as a Learning Officer at Derby Museums for five years and before that I was Head of History at a secondary school. My work in the heritage sector has won several awards and my innovative and positive work with history pupils as Head of History made the national BBC news. My remit is to develop the heritage tourism product across the county so that visitors have more to do and see which will help our local economy. I work closely with my colleagues in the Heritage and Conservation team but also heritage sites, community groups, colleges and businesses. Since the departure of the two previous heritage officers, I have been offering support to Bestwood Country Park to ensure the heritage of this fascinating site can be shared and appreciated. I’m keen to attract new and diverse audiences to Bestwood through projects and events. So far, I have organised a Steampunk Picnic which 500 people attended. The event raised money for the site and attracted people from as far afield as Newcastle, London and Gloucestershire. I also recently worked with young people from a Skills for Employment group at a local youth centre to host a Mini Victorian Craft fair. This, again, raised money for the park and gave valuable customer service and cash-handling skills to the teenagers. I enjoy working within the heritage sector in my home county. My family come from a mining background. My great great grandfather and grandfather worked at Wollaton Pit and my father worked as a welder down various pits across Nottinghamshire. I have been impressed by the community spirit, dedication and hard work that I have witnessed in all the community groups that support Bestwood and look forward to contributing to next chapter in Bestwood’s history. I was brought up during the late 1950’s / 1960’s in the coal-mining village of Nuncargate, the village famous for almost breaking diplomatic relations between Australia and England over a bowling technique devised to win back the Ashes in 1932-33! I attended Kirkby Woodhouse Primary School from 1962 to 1968 and Ashfield Comprehensive School from 1968 to Easter 1974. Leaving school with basic qualifications I initially started work as a Stores lad at Kirkby Co-op for 6 months in 1974 and eventually followed my Dad’s side of the family into the local deep coal-mining industry at Annesley Colliery. I completed a 4 year craft apprenticeship from 1974 to 1978 and then worked as a Coalface Craftsman until 1986. From 1986 until 1994 I was a Trade Union Branch Official working in the field of industrial relations at the pit. 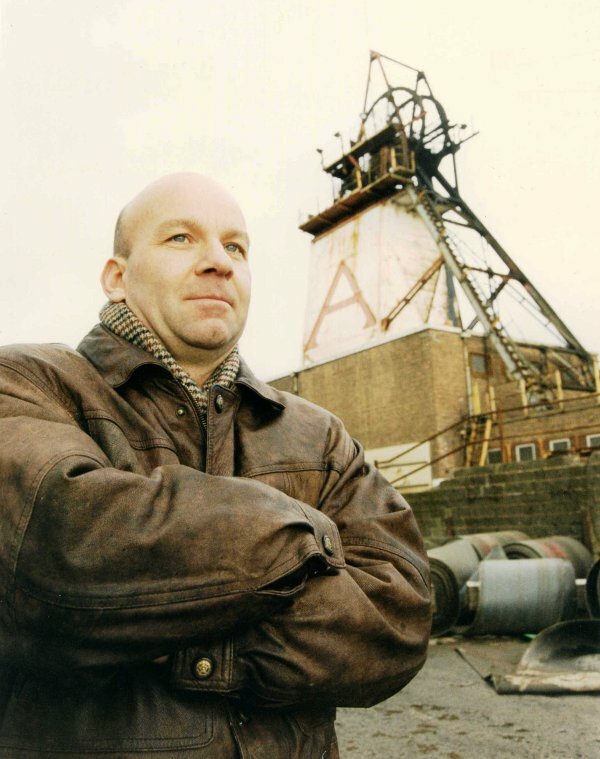 Following the privatisation of what was left of the deep coal mining industry in 1994 I worked as on the colliery surface as a lamproom attendant / explosives magazine attendant until leaving the coal-industry in December 1998. The closure of Annesley-Bentinck Colliery was announced in January 1999 with production eventually finishing in January 2000 - see photo above. The site of Annesley Colliery is now a housing development. On leaving the coal-industry I worked as Administration Officer for the National Federation of Anglers (NFA) at Egginton Junction from Dec 1998 to Sept 2000. From Sept 2000 I took two-years out from work to complete a Degree in History with Politics at the University of Derby, gaining a BA (Hons) Degree in the summer of 2002. I followed this by studying for a Post Graduate Certificate in Education (PGCE) for post 16 education and then commenced work as a Heritage Assistant at the DH Lawrence Museum and Heritage Centre from 2002 to 2005. Three years working as a Teaching Assistant followed at both Primary and Secondary level at the Lynncroft and Long Eaton Schools. From January 2008 to the present time I have been employed as a Heritage Officer on two HLF Projects in the Ashfield region – The Selstonia Living Heritage Project and the Annesley Old Church Project. I have worked as a sessional tutor in the field of Adult and Community Education since 2002 with various local colleges and the Workers Education Association (WEA). In the summer of 2012 I received my Doctorate from the University of Nottingham after 4.5 years of study on a Research Degree about the Nottinghamshire Miners and the1984-85 Miners Strike. Claire and I married in 1990 and we have a daughter, Paige (b 1997). We live in Eastwood having moved there in 1998 from Selston. 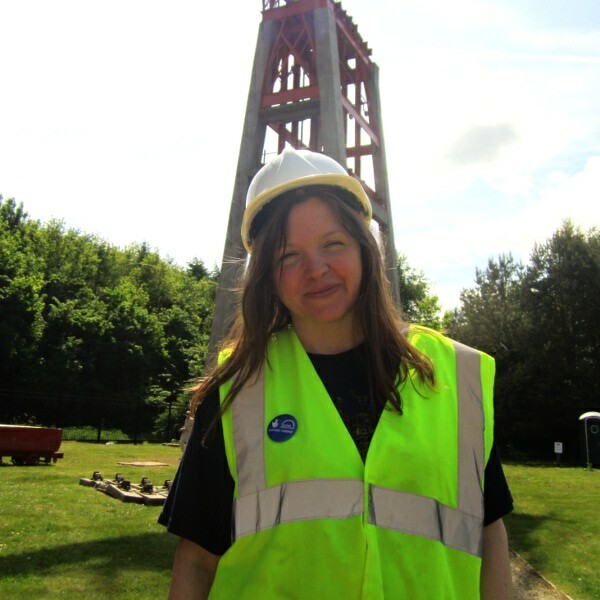 I am one of the new Heritage Development Officers at the Winding Engine House and Dynamo House. I’m really excited to be working with such a committed, knowledgeable and friendly volunteer team, and in such marvellous surroundings. If you are interested in volunteering at the Winding Engine House in any way, please get in touch for a discussion. Our volunteer team is crucial to the survival of this magnificent piece of industrial heritage. We will need people to help us look after the engine to secure its future, but in other areas too, such as learning and events. Both of our previous heritage officers were featured in the Nottingham Post - read all about it here.